Me-wow! 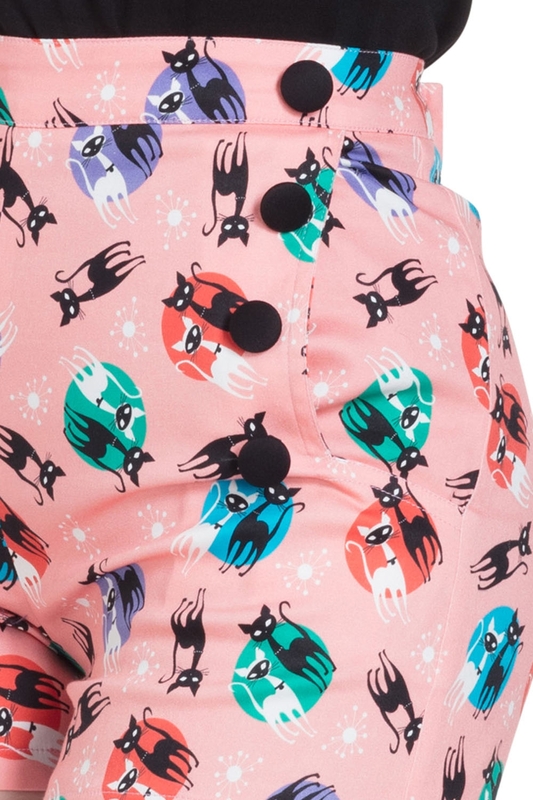 We’re adding our Katheryn shorts into our fabulously kitschy collection of kitty themed wonders. This paw-sitively retro piece features a beautiful body hugging fit and irresistible print, making it the purr-fect pair of shorts. It’s oh-so-Voodoo Vixen, we can’t imagine summer without it! Love the look? Check out our Kitty 50’s flared dress!